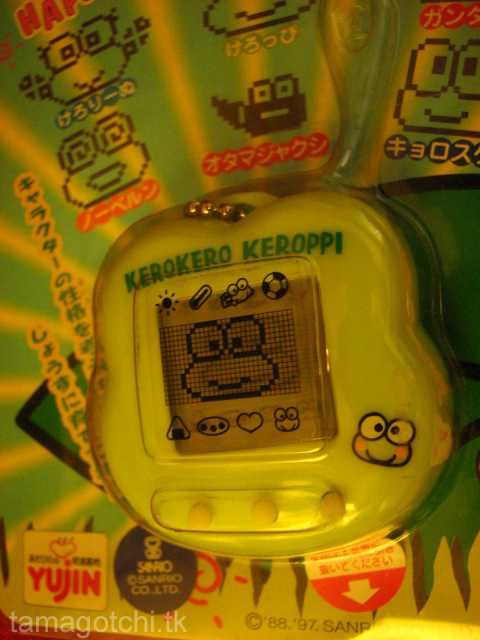 This is a Sanrio pet of Keroppi the frog. 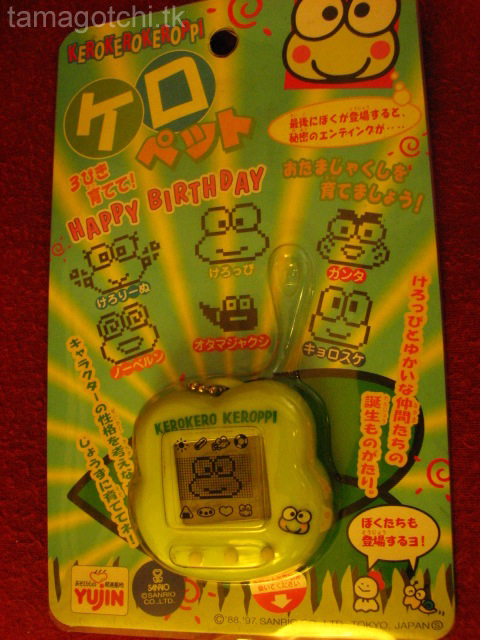 Keroppi is one of my favorite characters by Sanrio (mostly because green is my favorite color). I was wanting this pet for a very, very long time. I had seen it on eBay for years and years and finally got money to buy it. There seems to be a few different colors that I know of shell design. I got the opaque green design. 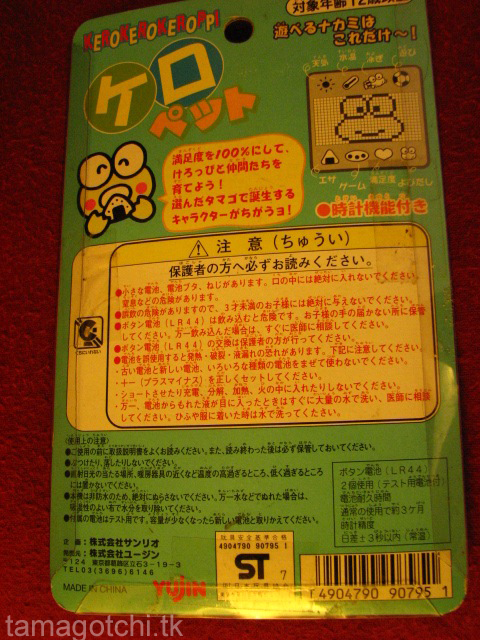 While the shell design is adorable and I like how it is shaped like Keroppi's head, I do not particularly like the gameplay. 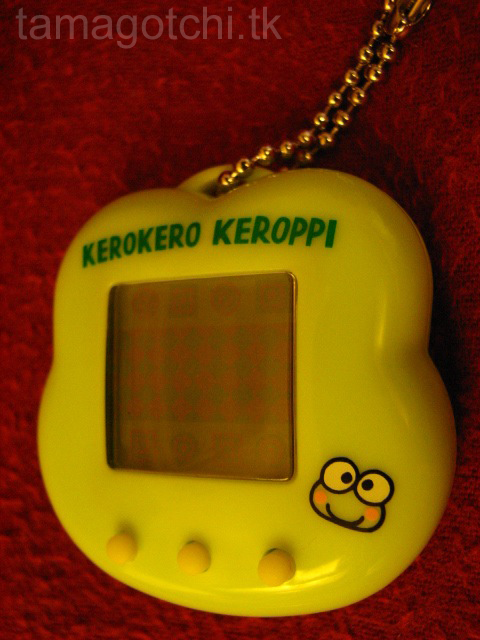 Much like the Hello Kitty pet, it doesn't seem to go by the same rules of the average virtual pet. Here are some directions from tamasquare. I got this one on ebay for about $25. You only see one or two on eBay a few times a year and they are still going for around the same price of $25-30ish. Just keep checking periodically and you'll come across one. 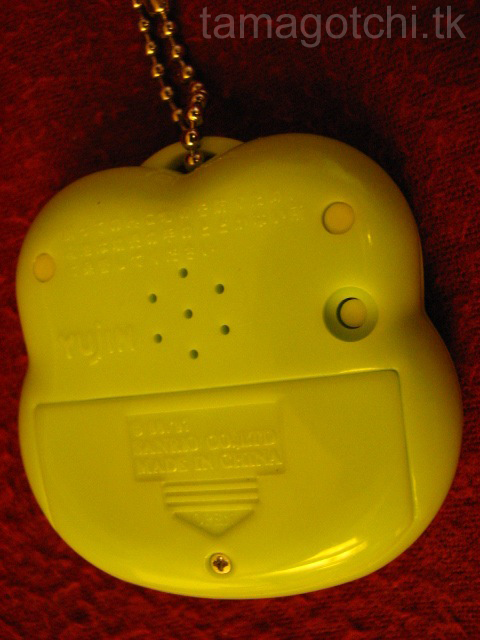 These came out around the time of the original Tamagotchis. 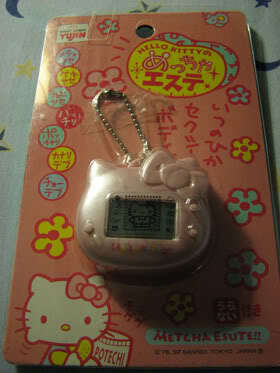 They are by Sanrio, the company that produces Hello Kitty collectibles. The aim of the game is to get Hello Kitty ready for her big date. Depending on how she starts out, you need to either help her lose weight or gain weight. She also needs beauty sleep or her date will think she's ugly. If you don't take care of Hello Kitty's needs, her date will reject her and she will never get a boyfriend. I have never played this the whole way through because I found the whole concept to be a little silly and confusing. That said, the Hello Kitty is cute, so whatever floats your boat. Also, you can't find these in English. They are only in Japanese I think. Which makes things even more confusing lol Oh well, it's a nice addition to my collection. My sister got this for about $12 I believe. She gave it to me so I'm not entirely sure. Right now I see one on eBay for $65. They are kind of rare, so I don't think you'll find them very often.